Find all the information about the upcoming reaffirmation of accreditation visit at this site: www.indstate.edu/hlc2020. Work is already underway for the visit scheduled for September 14-15, 2020. New Assessment Books Added to the Faculty Center for Teaching Excellence Library! The Faculty Center for Teaching Excellence in Cunningham Memorial Library has an entire library of resources for faculty to use. The Assessment & Accreditation Office is pleased to add these four titles to the FCTE library to support faculty in developing their assessment understanding and practice. Some even have templates and worksheets to help you think through and design your assessment practices. Check them out by stopping in the FCTE! Past presentations and resources no longer posted here can be found under the Assessment Resources > Articles, Presentations, & Webinars link from the main page. The 2016 Provost’s Award for Excellence in Student Learning Assessment and Improvement recently was awarded to the B.S. in Accounting and the Ed.S. in School Psychology. 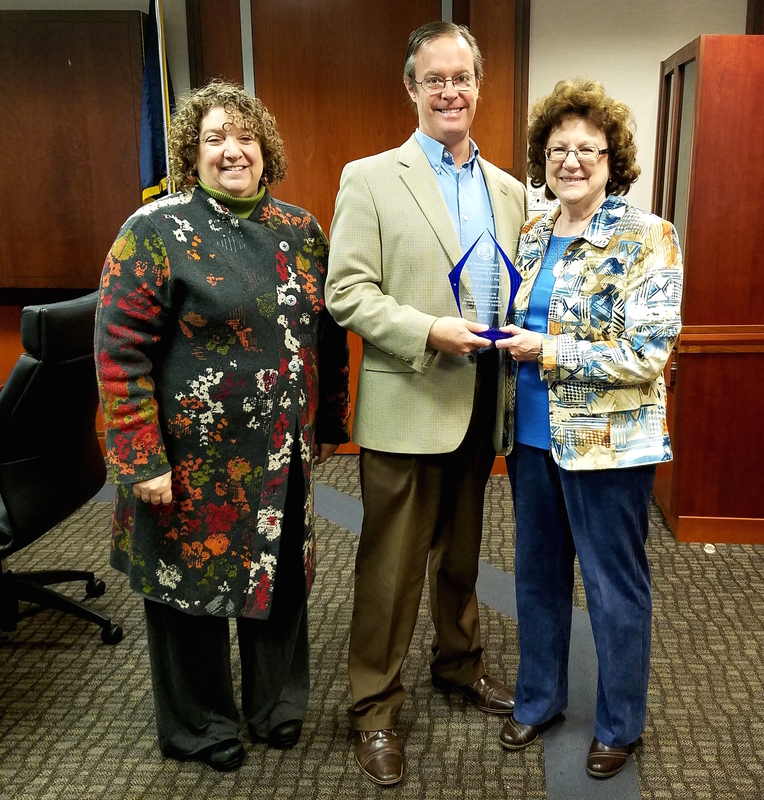 Dr. Susan Moncada, Accounting, accepts the Provost’s Award from Dean Brien Smith and Associate VP Susan Powers. 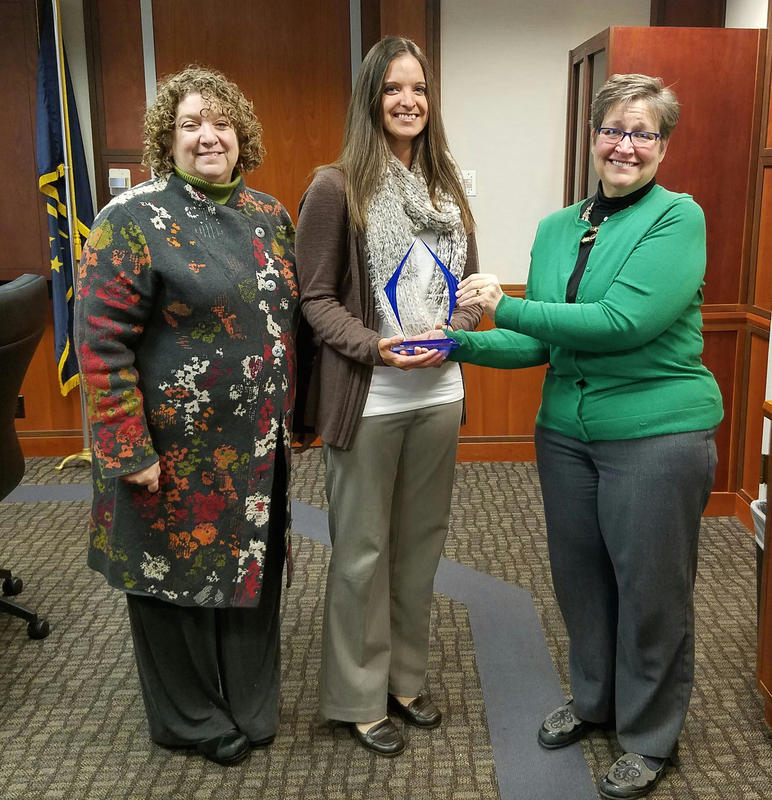 Dr. Carrie Ball, School Psychology, accepts the Provost’s Award from Associate Dean Denise Collins and Associate VP Susan Powers. This is the inaugural year for the award, created by the University Assessment Council to recognize exemplary assessment programs and to help embed assessment in ISU’s culture. The 2016 recipients were selected by a subcommittee of the Assessment Council. Guidelines for the Provost’s Award are available on this web page.